CHARLOTTE, N.C. -- Dale Earnhardt Jr., NASCAR's most popular driver, announced Tuesday that will retire at the end of the season. The two-time Daytona 500 winner set an afternoon news conference with team owner Rick Hendrick to discuss his decision. Hendrick Motorsports said in a news release that Earnhardt informed his team of his decision early Tuesday. A third-generation NASCAR driver, Earnhardt has been plagued by concussions the last several years, and he missed half of last season recovering from the latest head injury. It's caused him to delay contract talks on an extension to drive the No. 88 Chevrolet, and now he appears ready to call it quits. Earnhardt turns 43 in October, was married during the offseason and has stated he wants a family. He's become a vocal advocate for research of sports-related brain injuries. Earnhardt has won NASCAR's most popular driver award a record 14 times. He has 26 career Cup victories, and that includes a pair of wins in the Daytona 500. Earnhardt is a two-time champion in NASCAR's second-tier series. But the son of the late seven-time champion has never won a Cup title. Earnhardt has driven for Hendrick since 2008 after a nasty split with Dale Earnhardt Inc., the team founded by his father but run by his stepmother. He was unhappy with the direction of DEI since his father's 2001 death in a last-lap accident at the Daytona 500, and a frosty relationship with his stepmother led him to bolt to NASCAR's most powerful team. 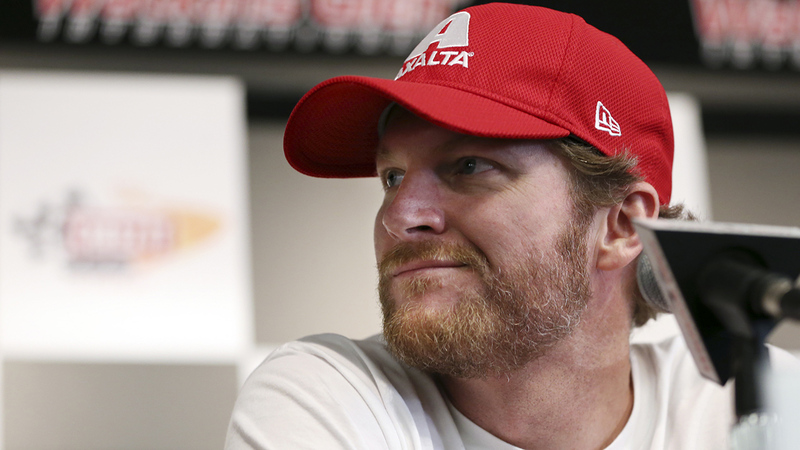 Hendrick Motorsports said Earnhardt first discussed retirement with his boss on March 29. Earnhardt made his first career Cup Series start on May 30, 1999, at Charlotte Motor Speedway. The Kannapolis native is in his 18th full-time season at the Cup level and he made his 600th career series start earlier this year at California.